There are the official stories that we tell ourselves about constitutional democracy and citizen rights -- and then there are the ugly political realities of the struggle against unaccountable power. Gary Ruskin, a veteran activist (most recently in the California voter initiative for GMO labeling), shines a bright light on the latter in a new report, Spooky Business: Corporate Espionage Against Nonprofit Organizations (pdf file), just published by Essential Information. Ruskin’s report exposes a world about which we have only fragmentary, accidental knowledge. But enough IS known to confirm that large corporations carry out a broad range of corporate espionage activities against citizen activists for exercising their constitutional rights (to petition their government for change and to publicly speak out on public policies). From Occupysantacruz.org, May 30, 2013. “The corporate capacity for espionage has skyrocketed in recent years,” writes Ruskin. “Most major companies now have a chief corporate security officer tasked with assessing and mitigating ‘threats’ of all sorts – including from nonprofit organizations. And there is now a surfeit of private investigations firms willing and able to conduct sophisticated spying operations against nonprofits.” Many of these “security” personnel are former intelligence, military and law enforcement officers who once worked for the Central Intelligence Agency (CIA), National Security Agency (NSA), US military, Federal Bureau of Investigation (FBI), Secret Service and local police departments. While Ruskin concedes that his accounts represent only “a few snapshots, taken mostly at random arising from brilliant strokes of luck,” his report documents an alarming range of acts of corporate espionage or planned espionage. Among the highly unethical and/or illegal acts committed: surveillance, infiltration, manipulation and dirty tricks. It's a pleasure to see Professor Leo Burke is getting some attention for his pioneering work in teaching the commons at..... a business school. In a wonderful profile, Notre Dame Magazine describes Burke's adventures in developing a commons curriculum for students and business executives at the Mendoza College of Business at Notre Dame University. 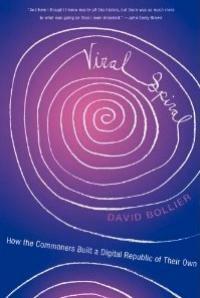 The courses are arguably the first and only such pedagogy about the commons in the world of business. 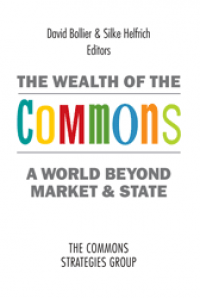 The profile, “A World That Works for Everyone,” was written by Jay Walljasper, my former colleague at On the Commons. Full disclosure – Leo's a friend. 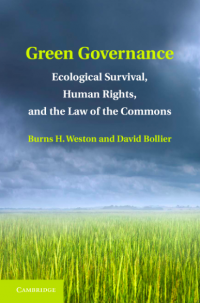 He and I worked together last year in developing an online course, “Introduction to the Global Commons,” which is expected to be available soon on the United Nations Institute for Training and Research website. 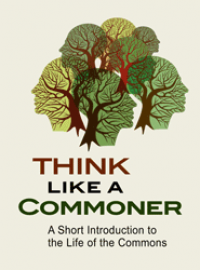 When I met up with Leo, he had already launched the Global Commons Initiative at Mendoza College of Business, and was teaching both executive MBA and undergraduate courses in the commons. 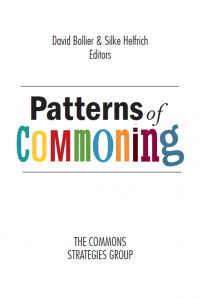 Leo has also assembled a commons curriculum for the School of Commoning in London. Richard Grossman was one of those activist eccentrics who took democratic power so seriously that he knowingly marginalized himself. Mainstream political culture regarded his positions as crazy or tactically unwise -- but eventually the world began to catch up with him. 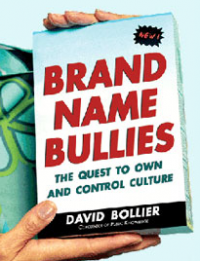 One of POCLAD's primary concerns has been “corporate personhood,” a topic that was long treated as a fringe activist concern. Corporate personhood had its roots in an 1819 U.S. Supreme Court case, Dartmouth College v. Woodward, which declared that corporations are creatures of private contract law, not public law. It was later given a boost with a controversial headnote in an 1886 case, Santa Clara County v. Southern Pacific Railroad case, which declared that corporations are “persons” in the constitutional sense, thus preventing government from regulating their rates.